KDE Plasma Desktop 5.12, a new long-term support release, was released a day ago. Here’s how to install it in (K)Ubuntu 17.10 via PPA. Many improvements to the Discover in stability and user interface. 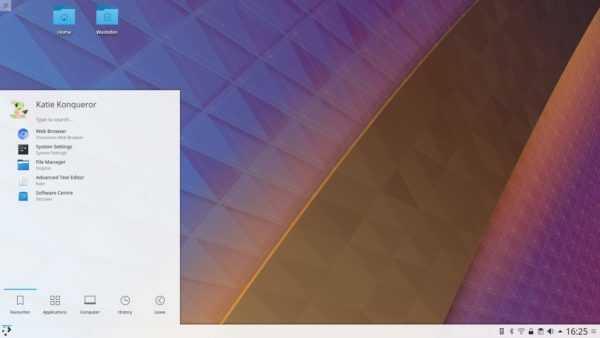 Global Menus have returned in Plasma 5.12. Folder View is now the default desktop layout. Media controls have been added to the lock screen. And many other changes, see release note for details. Kubuntu backports PPA has made the packages for (K)ubuntu 17.10.